ACE Dolav on fork lift. At Mosley Waste Management, Topcliffe, Thirsk, Simon Mosley has a simple solution to mechanically handling food waste. 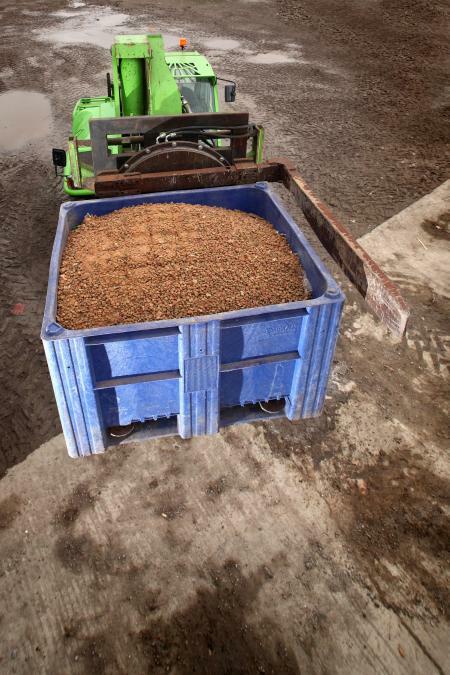 "If we use IBC (intermediate bulk containers) they only last two or three months if we are lucky, but a Dolav Ace lasts for years, it only costs about twice the price of an IBC and we can sell used Dolavs years later, still in good condition, for the same as an IBC costs us. It's a 'no brainer," he said. Mosley Waste Management has a fleet of some 40 Dolav Ace plastic box pallets and lids which are on constant rotation from a pet food company in the region. They receive animal by-product food waste which occurs during pet food factory production changes or some output not meeting required quality. 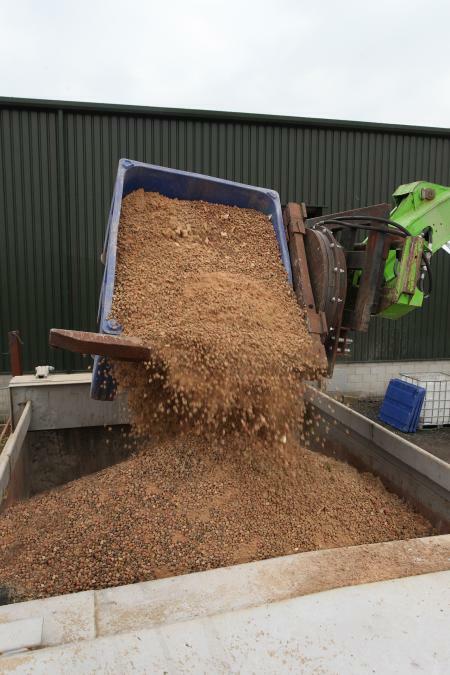 To empty the Dolavs, Mosley tips them with a forklift rotating head into a 40ft hooklift container which, when full, is trucked to an anaerobic digestion plant also in the North. When the Dolavs are empty, Mosley simply pressure hoses the box pallets and lids clean and sends them back to the pet food factory for more pet food food waste. "The Dolav Ace is very easy to clean," said Simon Mosley as he pointed out the rounded internal corners and solid, food-grade HDPE solid walls of the Dolav Ace. ACE Dolavs being emptied into a 40ft hooklift containers. He added, "The other main advantage of the one-piece moulding and integral runners on the Dolav is that the runners don't come off. They can't unclip. Some others do. We won't have them," he insisted. Commenting on the level of care or lack of it shown by some forklift truck operators observed that any container used in recycling can receive abusive handling when away from Mosley Waste Management. "The product has got to be able to stand up to bad handling. The Dolav Ace does. That's also why we use them," he concluded.